Wang Auto Inc - Whats New? What's New @ Wang's ? 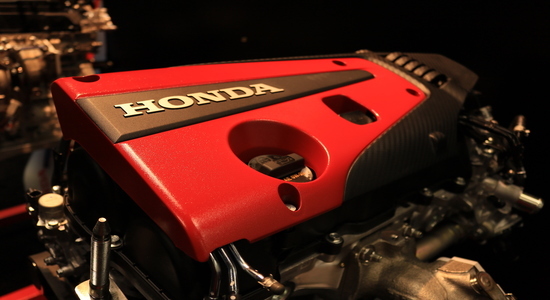 Since Honda MFG already made turbo chargers in most models of their vehicles, beginning in 2017, in the near future there will be a lot of turbo engines available in the market for you to do an engine swap. At Wang Auto, we are looking for customers interested in doing the first engine swap on newer Honda Civic models. Anything 2006 or newer Civic models qualifies for this kind of a swap. Since Hasport already process to made the Civic engine swap motor mounts, that qualifies for engine swap. The only challenge is the wire harness to hook up with the factory ECU. We will sponsor you, waive the label cost for this kind of job. If you're interested, please contact me via email for futher information. For those of you just tuning in, you're probably wondering how we got a K20C from a Type R. Well, we bought a Type R and pulled the engine out. Why? So we could take a closer look at it and see what makes this engine so good. We'll also talk about the K20 turbo motor that will be coming in the new Accord. Is it the same or not? The Civic is also available with a L15B7 turbo engine. The K20C's little brother that's making huge waves with tuners. Are they the same size? Are the electronics the same? What are the differences? For the answer to these questions and many more, get yourself a drink and sit back and enjoy the video. Do you have a question or comment? Leave it down below and well do our best to answer it. If you like our videos please subscribe and hit the bell so you get notifications when a new video is available. Better yet, head over the vtecacademy.com and buy a VTEC Academy T-shirt. All the cool kids have them.